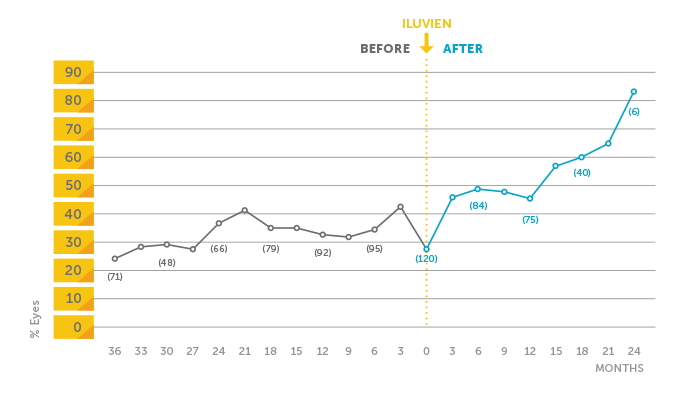 aMean follow-up after ILUVIEN was 403 days, with 102 eyes followed up for 6 months, 92 for 12 months, and 88 for 15 months. The number of patients available for follow-up at each time point varied. 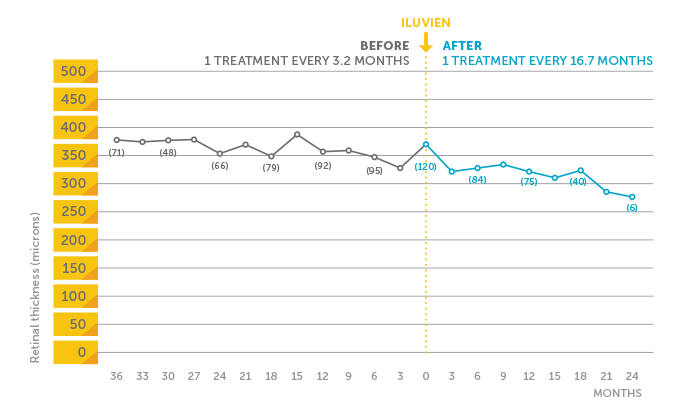 bP0.001 vs treatment frequency before ILUVIEN. cP=0.026 vs treatment frequency before ILUVIEN. The numbers in parentheses represent the number of eyes with data at those time points. 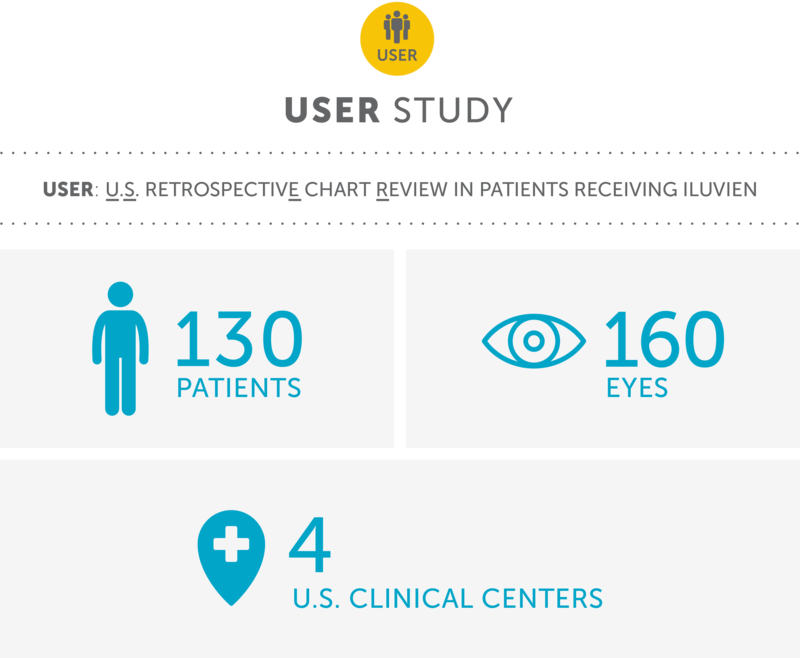 outcomes seen in the ILUVIEN Phase 3 clinical trials (FAME). CONTINUOUS MICRODOSING™ Delivery on retinal stability.